One issue that is often overlooked by those new to Hajj or Umrah is the sheer number of shoes left at the entrances of mosques during salat time. 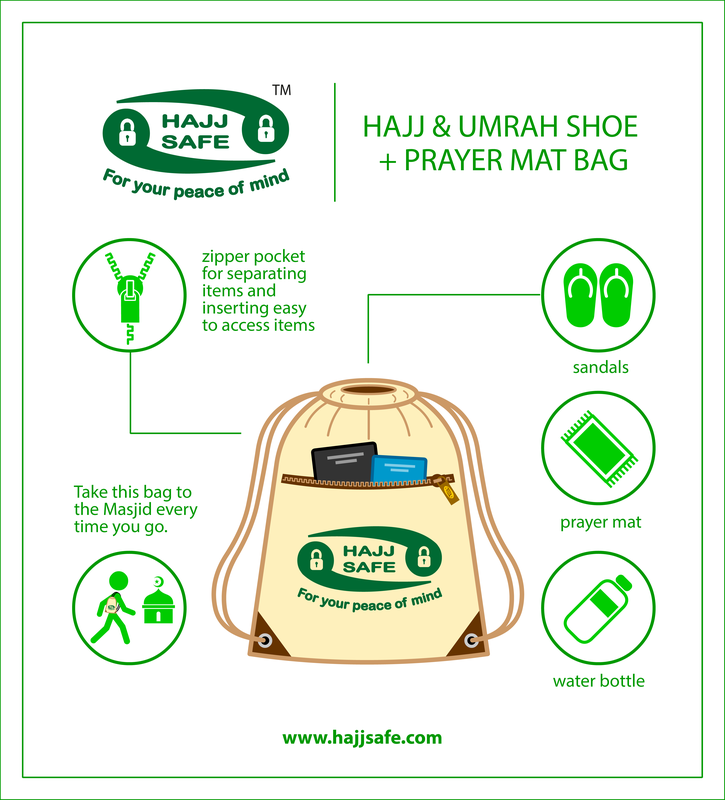 An excellent solution to this problem is the Hajj Safe Every Day Shoe & Prayer Mat Bag. You can simply pop your shoes inside and keep them with you as you perform salat. There is also room for a prayer mat, which is very handy while travelling, as well as space for a water bottle, and a zipper pocket on the inside of the bag keeps things neatly separated and hygienic. The bag is good quality and made from strong nylon in a drawstring style, measuring a convenient 35cm wide by 40 cm high.